NEW & IMPROVED.....Now with Marula Oil and Coconut Extract! Cold weather, hand washing and aging can leave your hands feeling dry. 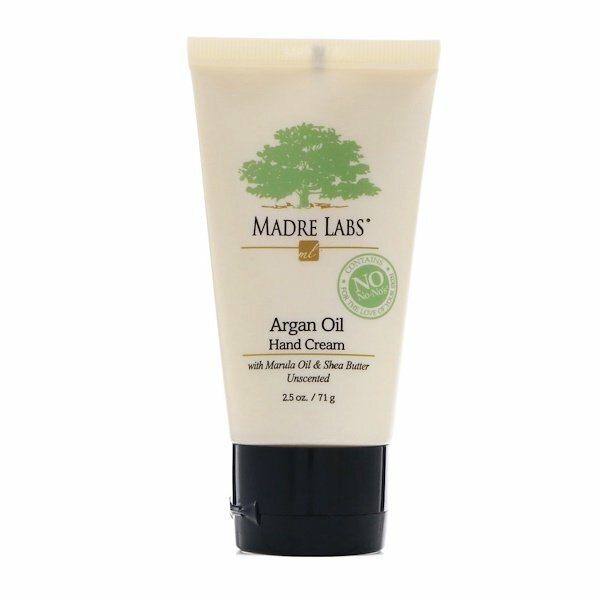 Our concentrated, moisture-rich Hand Cream helps to moisturize dry, damaged skin, leaving it feeling silky smooth. It has no added fragrance, so it is perfect for anyone with fragrance sensitivities. It contains Argan Nut, Marula and Coconut Oils plus Shea Butter, which have antioxidant properties and contain essential fatty acids beneficial for moisture balance. Shea Butter also helps to protect the skin’s natural lipid balance and helps reduce inflammation. A proprietary blend of SuperFruits (Açai, Goji, Pomegranate and Seabuckthorn) are included to help protect your skin from oxidative and environmental damage. Water (aqua), cetearyl alcohol, safflower (carthamus tinctorius) seed oil, glyceryl stearate, glycerin, palm oil (isopropyl palmitate), cetyl esters, shea butter (butyrospermum parkii)¹, argan (argania spinosa) kernel oil*, hydroxypropyl starch phosphate, cetyl palmitate, xanthan gum, marula (sclerocarya birrea) kernel oil, tocopherol, aloe vera (aloe barbadensis) leaf juice, gluconolactone, sodium hydroxide, sodium benzoate, açaí (euterpe oleracea) fruit extract, lycium chinensis fruit extract, pomegranate (punica granatum) extract, sea buckthorn (hippophae rhamnoides) fruit extract, sodium PCA, jojoba (simmondsia chinensis) seed oil*, sesame (sesamum indicum) seed oil*, avocado (persea gratissima) oil*, olive (olea europaea) fruit oil*, coconut (cocos nucifera) oil*, shea butter (butyrospermum parkii)*, betaine, sorbitol (sugar based), glycerin, alanine (l-alanine), proline (l-proline), serine (l-serine), threonine (l-threonine), arginine (l-arginine), lysine (l-lysine), glutamic acid (l-glutamic acid), citric acid.